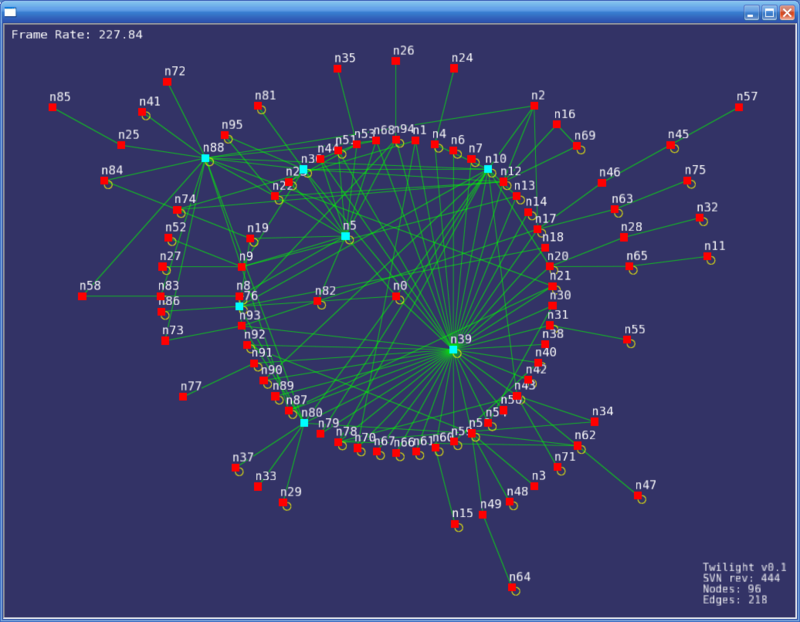 Applications where graphs (networks, trees, etc.) are the primary data structure of interest are abundant and their number is increasing. 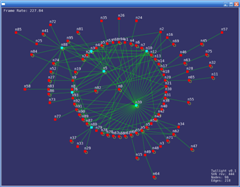 The visualization of graphs is a research area with a long history and with many high quality algorithms now readily available. 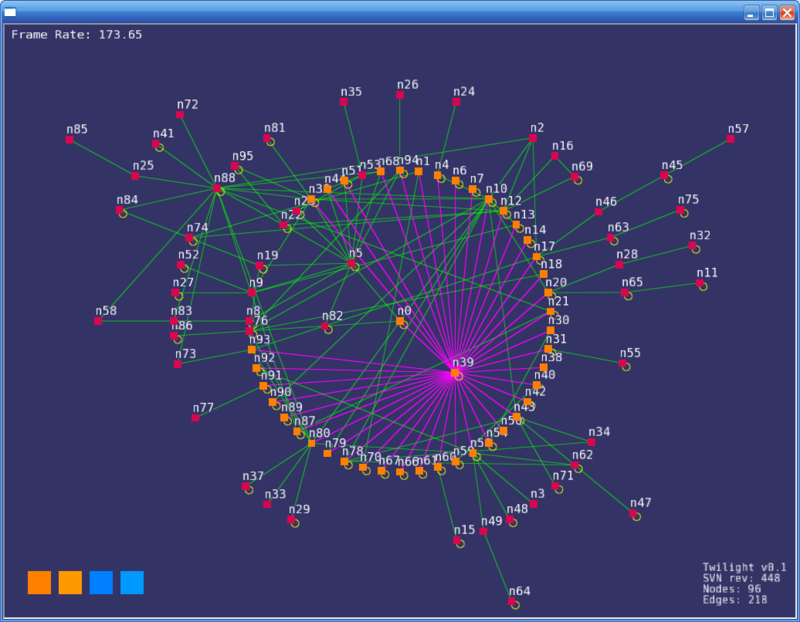 The interactive visualization of graphs is a relatively new research area. 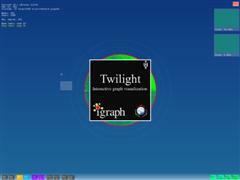 Twilight is an interactive graph exploration tool for multi-touch systems. 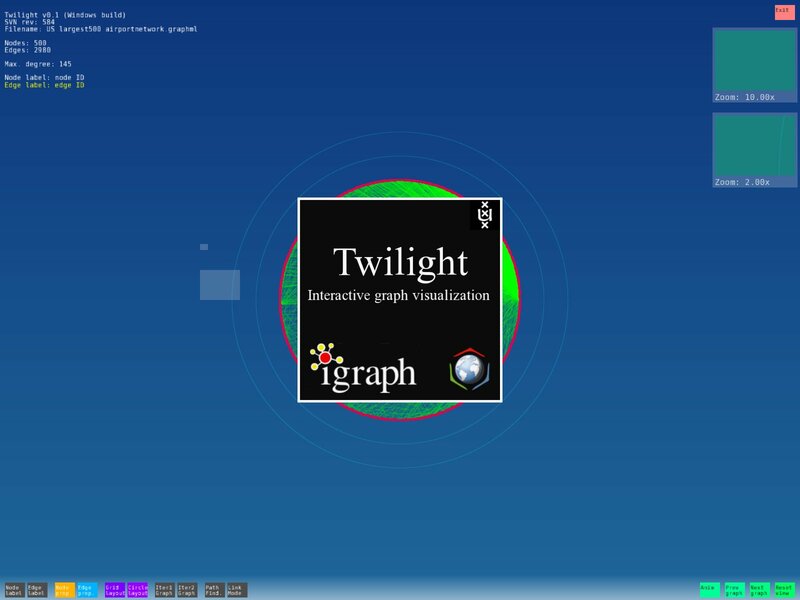 Twilight provides a flexible environment that can be used to visualize and analyse graphs and networks found in the computational science. 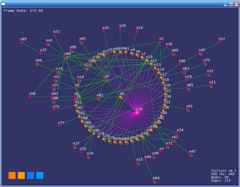 It was designed for visualizing large graphs from the following projects: Drug resistance in HIV mutations and transmission of infectious diseases (Virolab), Protein-protein interaction (VEARD) and Ontologies (ACGT). 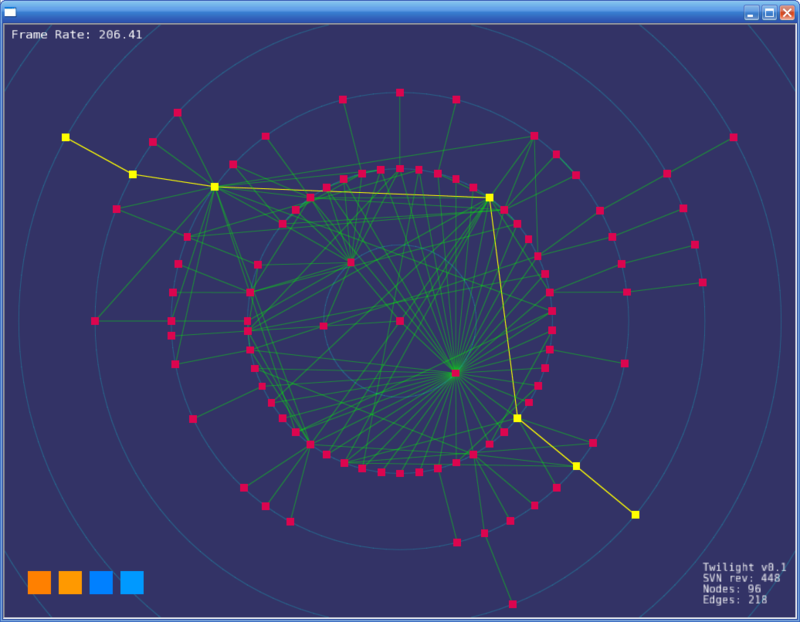 The interactive environment allows users to manipulate the layout in order to detect structures and patterns. The project was used on the UvA Multitouch table (UvA/MMT). 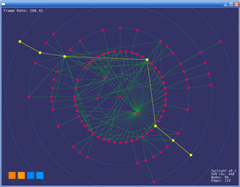 The UvA/MTT, developed at the Section Computational Science, combines graphics rendering with a multi-point input device to allow for direct interaction with graphical applications. Used technologies: C++/OpenSceneGraph/igraph/TUIO. 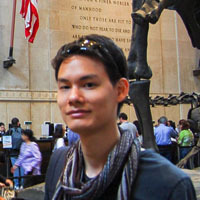 The MS Surface version uses a TUIO proxy (Surface SDK). I couldn't possibly be wrong. I use an error correcting modem!